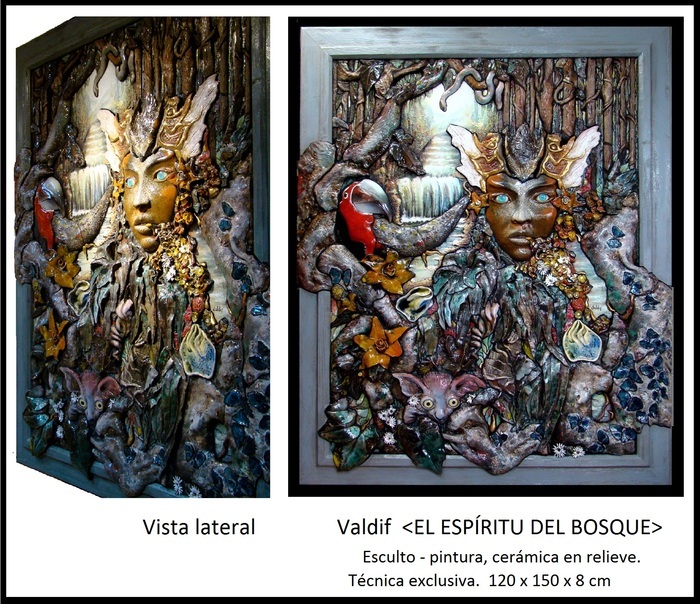 VALDIF (Miguel F. Valdivieso) Painter, ceramist, muralist. 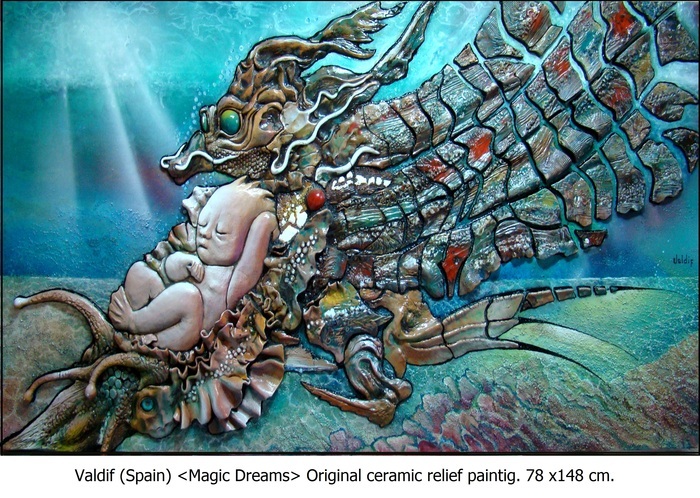 Born in Granada (Spain) in 1952. 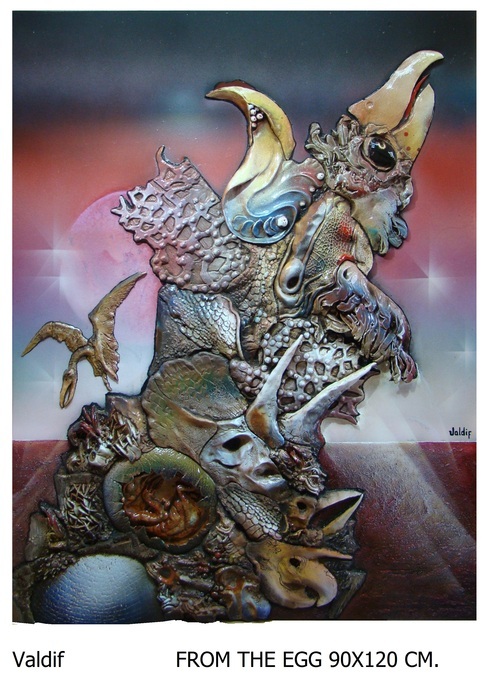 Completely self-taught painter, Valdif is an outlier with a long history of contribution of great artistic interest and in many cases using techniques themselves, innovate and playing different styles, and whose works have been commissioned, exhibited and sold through different channels generally to regular exhibition in art galleries. 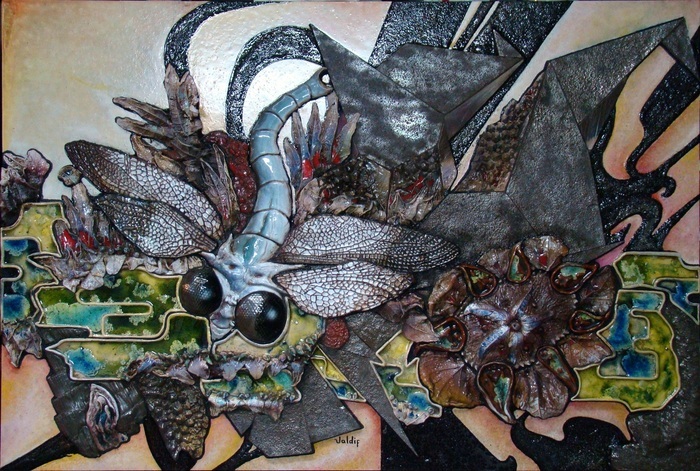 Shows his first solo exhibition al Art Center in Granada in 1975, which followed several solo and group exhibition in many Spanish cities…but gradually departs from these circuits. 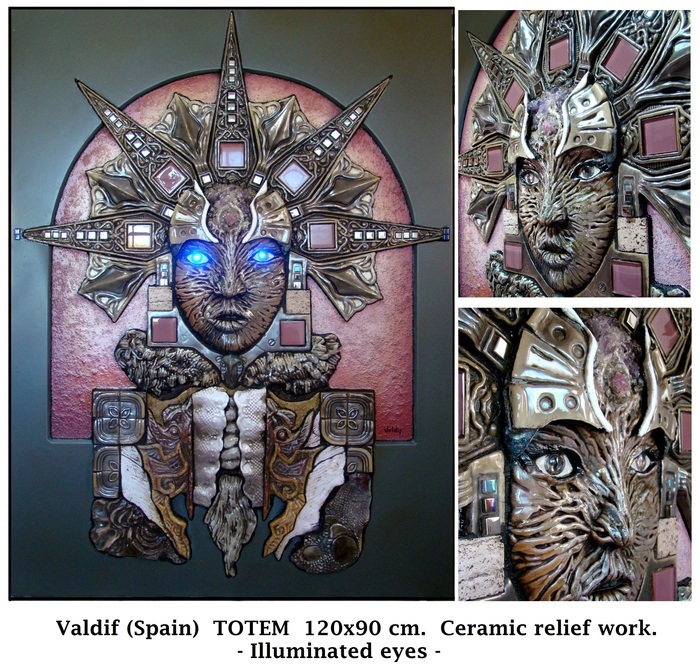 Valdif developed in 1980 a technique based on marble sands allow his role muralist. 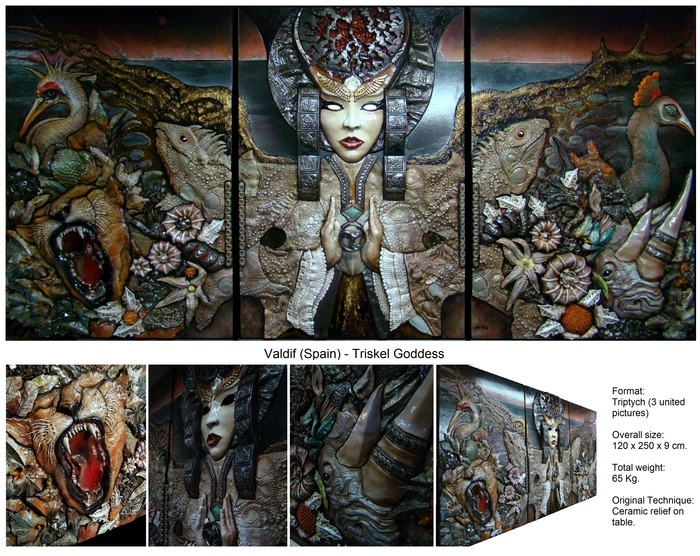 The visual impact of his works it takes professionally and performing custom murals and original works for building entrances, hotels, etc. It moves in the world of construction and decorating firms. 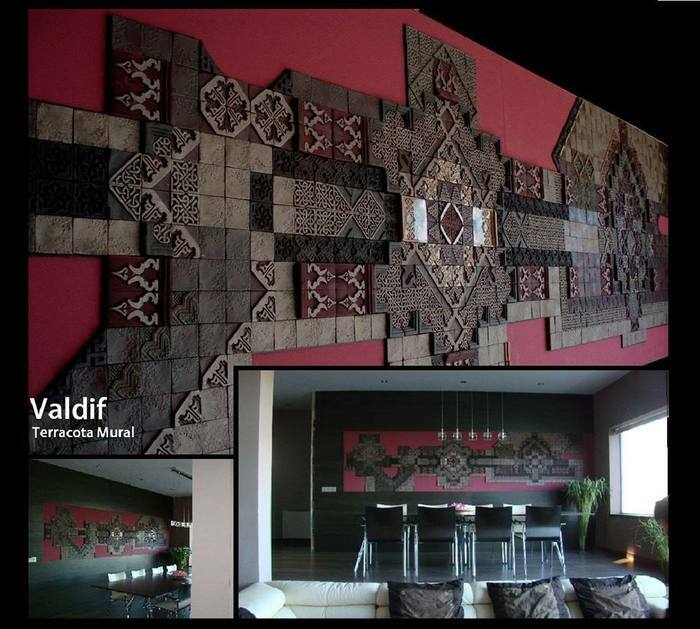 Valdif has made many exhibitions in galleries and 11 international fairs, and worked for hall buildings and hotels in various countries. 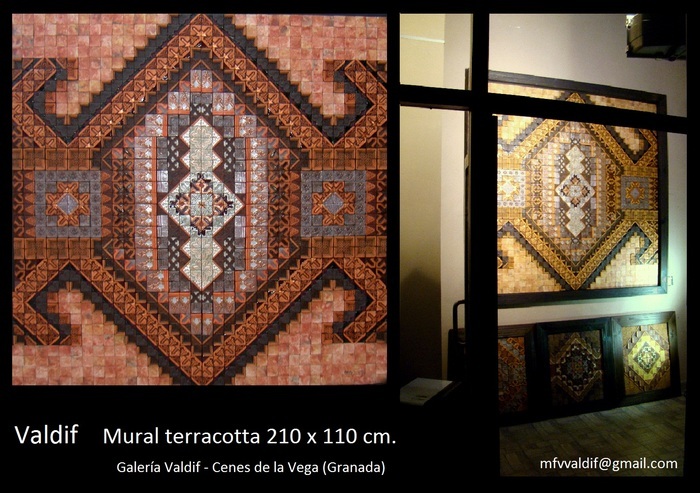 Recent years spent working in his paintings, to gather sufficient number of works for a major exhibition. Each requires many months of work. 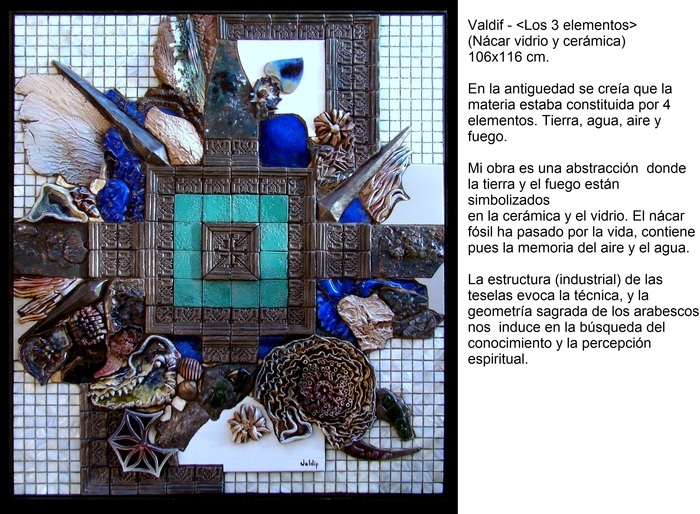 In 2013 Valdif returns to the art galleries world with his new works, in collective exhibitions in Ahaf Seoul. (South Korea), Art Cuestion Orense (Spain) and in 2016 individual exhibition in El Centro Artístico Literario y Científico de Granada, with great notoriety, by the criticism of art, the press and television. His work will be on the cover and inside of the 2017 yearbook of international H.T. Art Magazine, and also in the 2017 yearbook published by critics and Greek artist Katerina N. Theofilis. 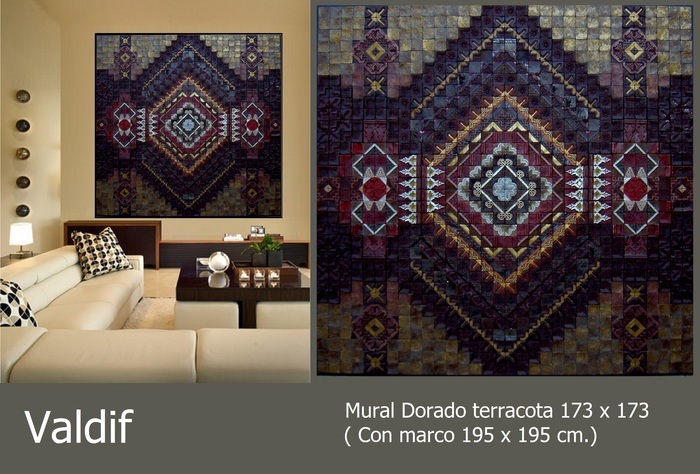 120 X 150 X 8 CM. 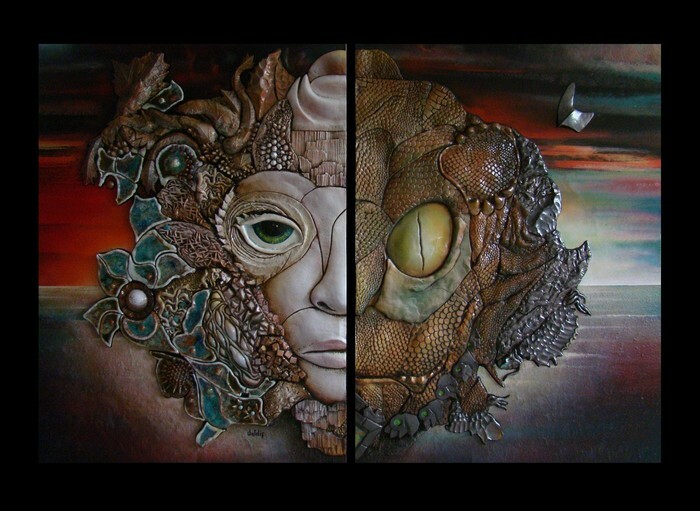 120 x 90 cm. 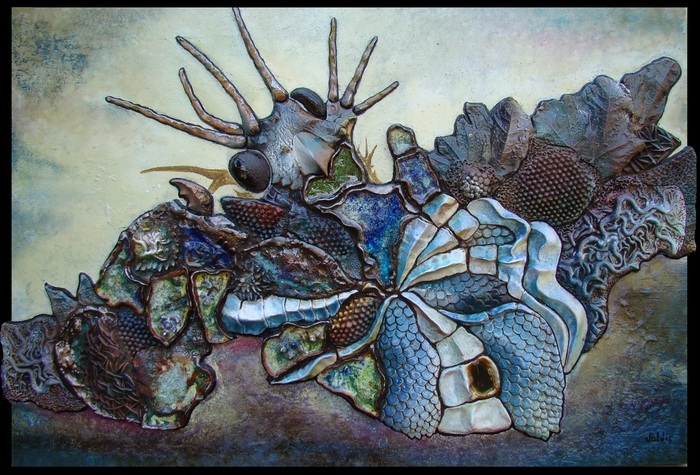 Ceramic relief painting. 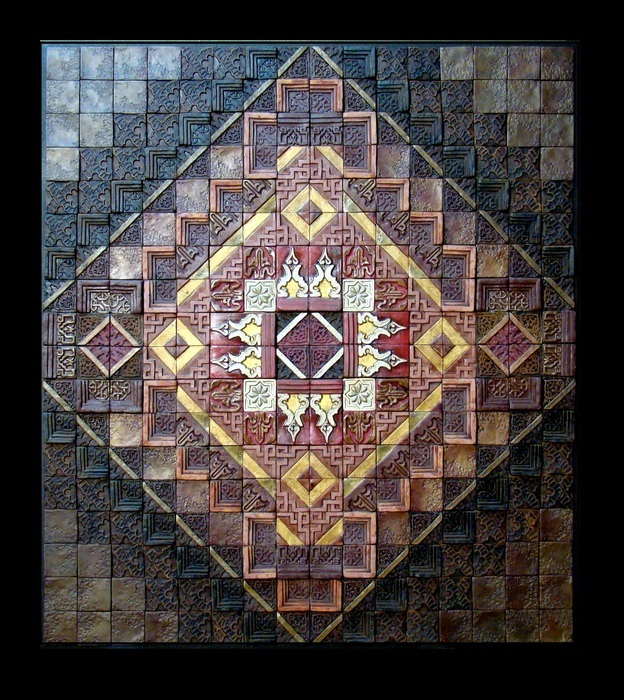 Ceramic relief painting 82x120 cm. 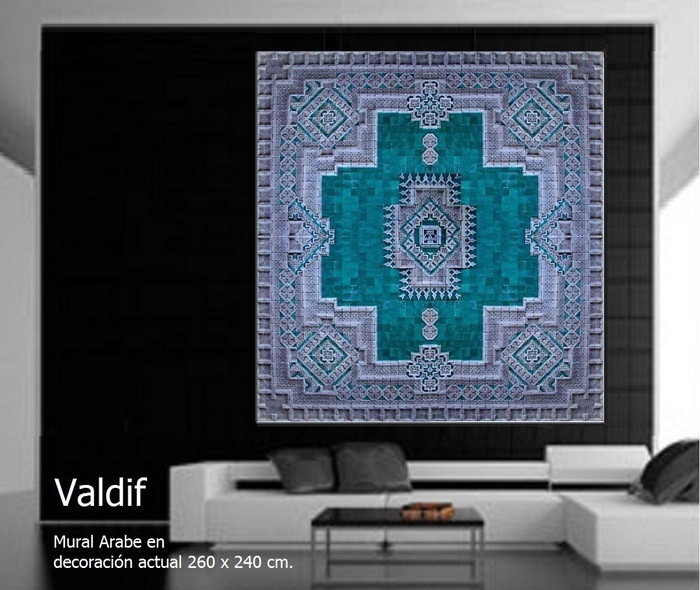 Original, but Arabic and oriental inspiration. 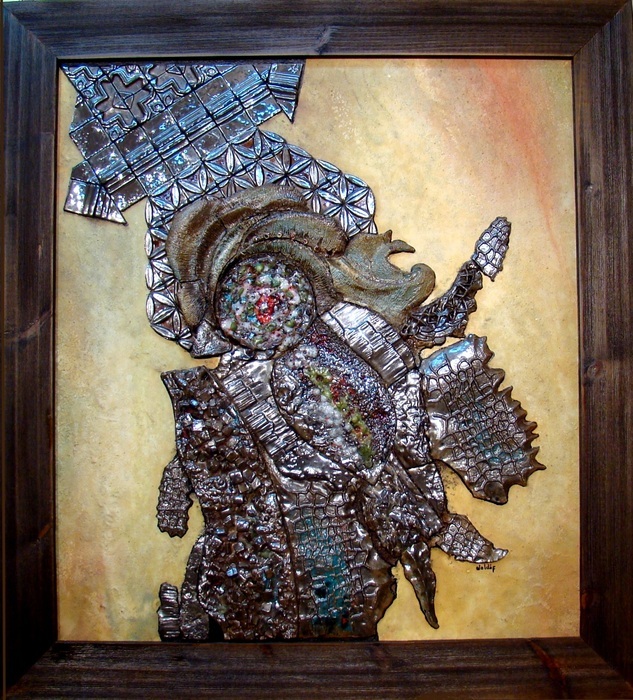 The works are formed with hundreds of pieces of 5.5 cm. 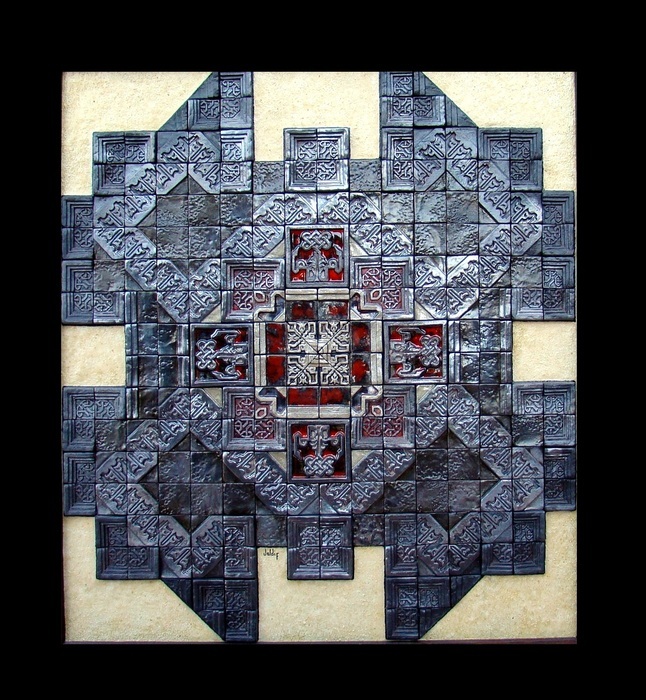 In relief, made of clay to the fire to 1050 gº. 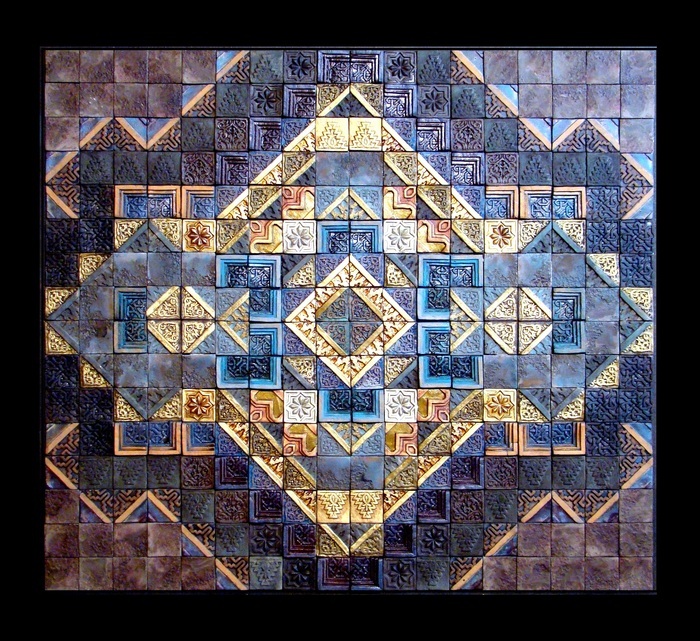 Ceramic relief mural 240x260 cm. 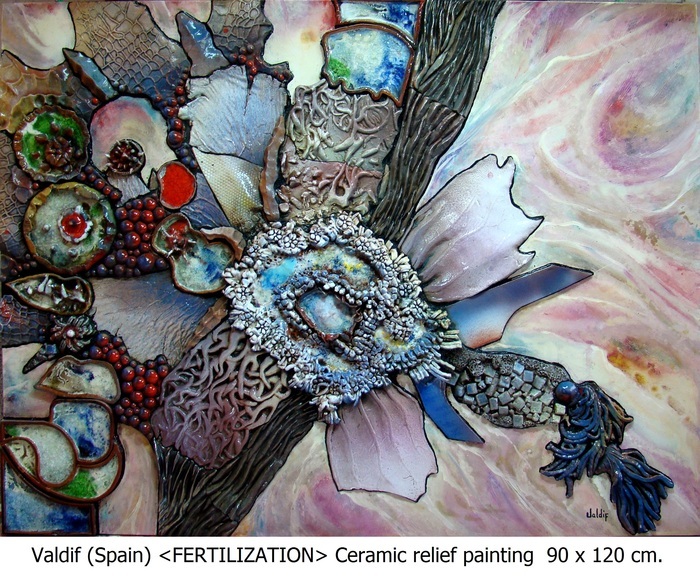 CERAMIC MURAL WITH PAINTED AND TEXTURES FUND 110 x 249 cm.